64 x 44,1 cm - 23 5/8 x 17 3/4 in. 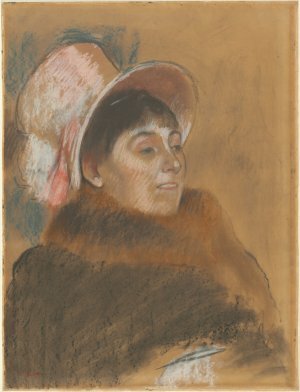 Atelier Degas - Vente Degas, 1918, II, n° 88 (repr.) - Nunès et Fiquet, Paris - M. et Mme Albert J. Beveridge - Washington, National Gallery, 1951 (Don Mme Albert J. Beveridge). Lemoisne, 1946-1949, II, n° 535, repr. p. 303 - Werner, 1977, n° 2, repr. p. 23 - Lassaigne, Minervino, 1974, n° 563, repr. p. 113 - Degas in the Art Institute of Chicago, 1984, fig. 47.2, repr. p. 108.